As you can probably tell, I am very bad at coming up with names. I really don’t know what to call this design… I did these about a month ago. 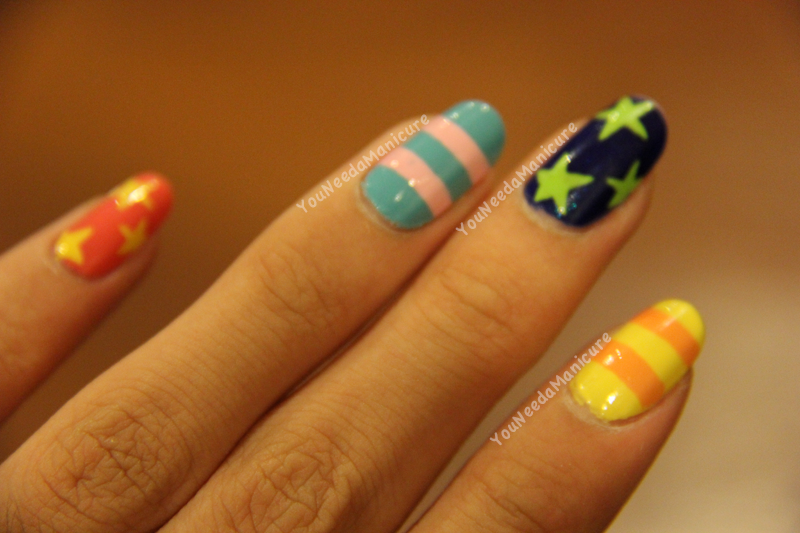 Saw this design from Nail Max! magazine. I really like how it turned out! Sorry about the dry cuticles and the growth. 😦 I took this photo around 4-5 days after I painted them, and my nails grow super fast so theres a bit of growth when I took the photos. I used a brush and acrylic paint to paint the stars and stripes. 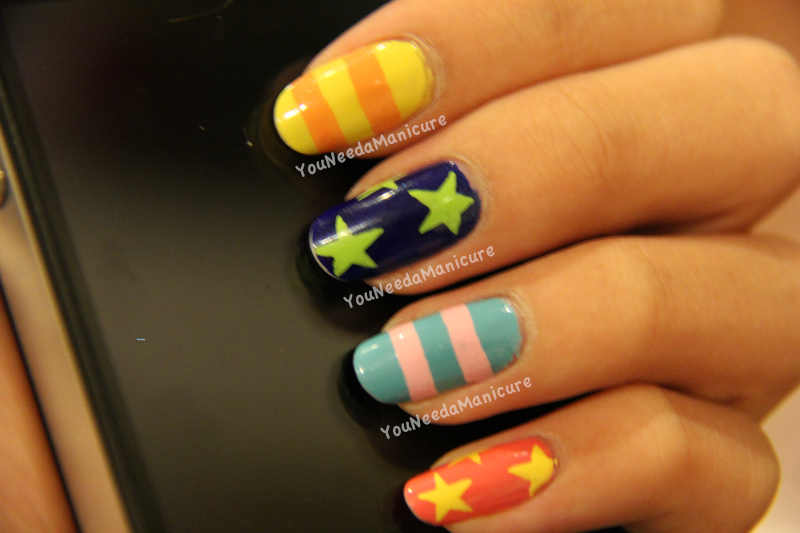 I really don’t know what to call this nail art design. 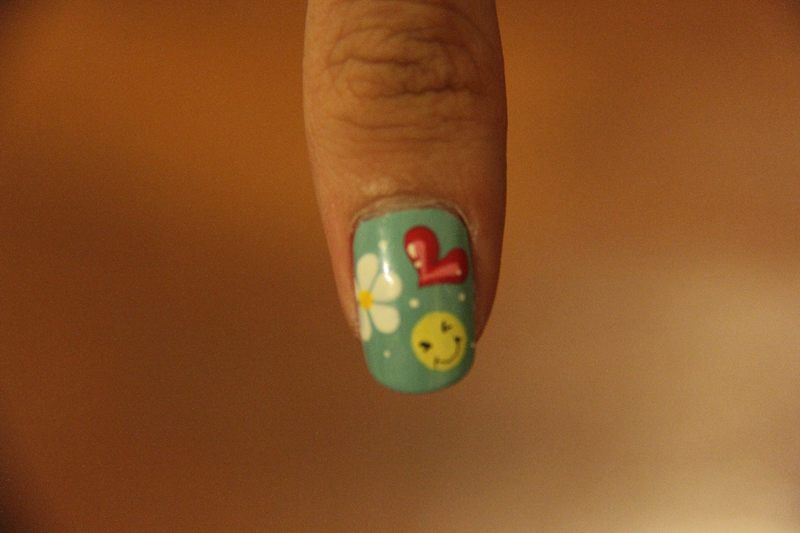 I got these done at Take Care nail salon with my friend Song back in October 23rd 2010. My nails were quite long then. When I think back to when I was getting them done, I remember myself taking a very long time choosing a design I want to get done from a Japanese magazine. The shop owner even walked up to me and asked me to choose quickly, because they also have other customers to take care of. I also ended up wearing this design to Japan too.